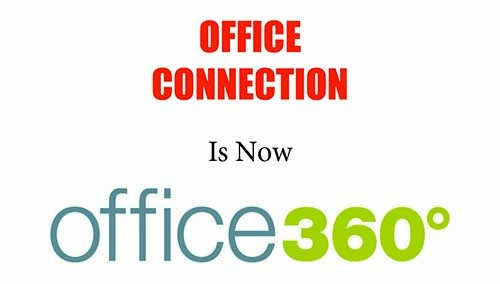 The Office Connection website has been transitioned to the Office360 ordering website. In the future please go to www.office3sixty.com and click ‘login’ (found in the upper right corner) to place your office supply orders. Also, please update your bookmarks accordingly. If you are unable to log in, please contact our Customer Service at 812-886-9905. If you have any questions or concerns, please contact Office Connection and Office360 customer service @ 812-886-9905 or email customerservice@office3sixty.com.